The Michigan Film Office announced recently that they have approved film incentives for Rumors of Wars, a futuristic war drama thriller that reminds us of movies like 2012, Armaggedon and Day After Tomorrow. Rumors of Wars is filming this month in Grand Rapids, starring Eric Roberts (The Dark Knight and The Expendables), directed by Paul Tomborello and produced by Jude Walko (House of the Rising Sun). The production receives an incentive of $55,599 from Michigan on $193,418 of projected in-state expenditures. 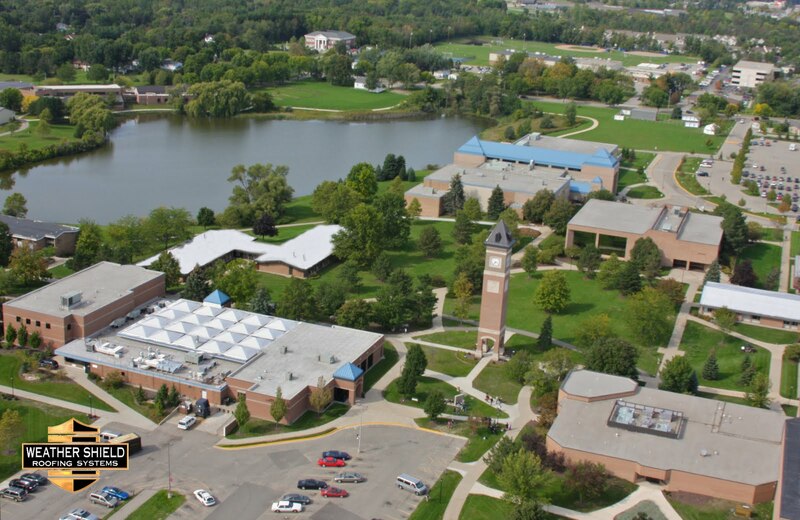 PHOTO CREDIT: Above image is an aerial view of Cornerstone University via Google. Rumors of War sets up a production office at Compass College of Cinematic Arts and principal photography is currently taking place at Cornerstone University. The movie is also filming in other locations off campus, including Mathews Auditorium. This is an exciting project for the school since many students from the university’s film program will get to work on the movie, including 100 students served as extras. A few of the recent movies filmed in Michigan are The Five-Year Engagement, The Ides of March, and Alex Cross. Production still of The Five Year Engagement via Google. For Fiscal Year 2013, Michigan has awarded a total of $511,544 to five filming projects. These projects will create 244 hired positions with a full time equivalent of eight jobs, and are expected to spend $1,785,207 in the state. Created in 1979, the Michigan Film Office assists and attracts production companies while promoting the growth of Michigan’s film industry. The Film Office also administers a competitive incentive program for film, television and other digital media production in Michigan. For more on the Michigan Film Office, visit: MichiganFilmOffice.org.